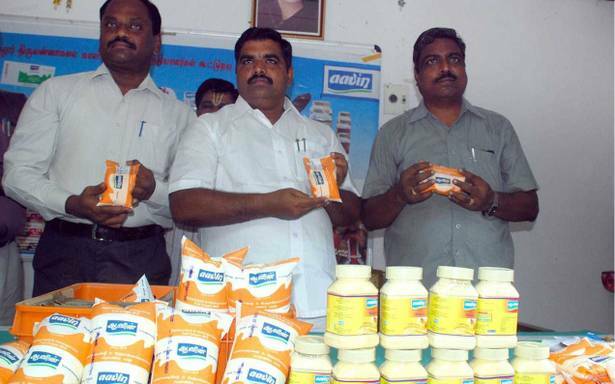 Aavin Coimbatore has announced its recent vacancy for various role. It has released for 19 Manager, Extension Officer, Private Secretary, Junior Executive, Technician, Heavy Vehicle Driver Posts. Here you will see many details such as pattern of examination, Aavin Coimbatore Syllabus, Aavin Coimbatore Question Paper, Aavin Coimbatore Admit Date Release Date, Aavin Coimbatore Exam Date, Aavin Coimbatore Result Date. Find more details below. 4. Manager (DE) - Must possess a degree in Electrical & Electronics / Electronics & Instrumentation / Electrical & Instrumentation / Electronics and Communication / Automobile / Mechanical Engineering from recognized University. 6. Executive (Office) - Must Possess post Graduate Degree and Pass in Cooperative Training as detailed in Rc. No. 51928 / 2013 / SF2 dated 18.07.2013 of the Registrar of Cooperative Societies, Chennai. Exemption for holders of degree in B.A (Co. op) or B.Com (Co. op) from passing Cooperative training. 8. Extension Officers Grade II - 1. Must be a Graduate in any Discipline. 2. Must have passed in Cooperative Training. Exemption for holders of degree in B.A (Co. op) or B.Com (Co. op) from passing Cooperative training. 9. Junior Executive (Office) - 1. Must be a Graduate in any Discipline. 2. Must have passed in Cooperative Training as detailed in Rc. No. 51928 / 2013 / SF2 dated 18.07.2013 of the Registrar of Cooperative Societies, Chennai. Exemption for holders of degree in B.A (Co.op) or B.Com (Co.op) from passing Cooperative training. 10. Technician (Lab) - 1. Must possess a pass in SSLC or its equivalent. 2. Must possess 2 years Diploma in Lab (Technician) issued by the Govt. / Govt. approved Institutions. 11. Technician (Tyre) - 1. Must possess a pass in SSLC or its equivalent. 2. Must have ITI certificate in Fitter trade with NTC (or) Diploma in Automobile / Mechanical Engineering. Payment of Rs.250/= (Rupees Two Hundred and Fifty Only) per post should be made by way of demand draft only, drawn in favour of General Manager, Coimbatore Co -operative Milk Producers’ Union Limited and payable at Coimbatore. Demand draft can be drawn in any one of the Nationalized Banks / Cooperative Banks and processing fee for each post should be remitted separately. Demand drafts obtained earlier to the date of advertisement will not be accepted and any other modes of payment like cheque, postal order and cash will not be accepted.